Africa is a land of intrigue, and if you ever wondered what were the reasons – here they are! While the whole world rejoices the occasion of a birth, this tribe in Africa has other ideas! The Masai Tribe in Africa considers the new born as a manifestation of evil and thus spits on the baby collectively, so as to ward off the evil spirit! African men beyond any doubt have abnormal dreams! 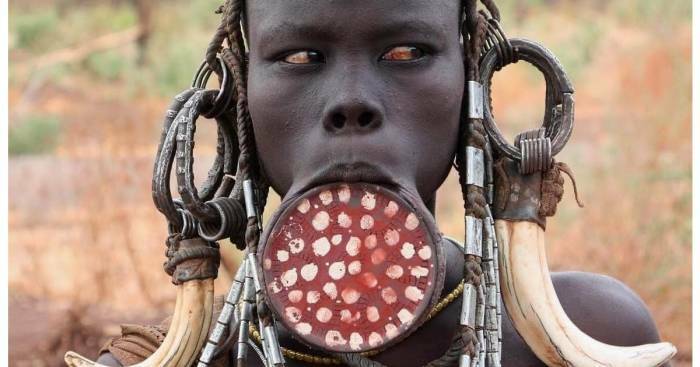 In a few tribes, greater lips in ladies implies they are more smoking to men – so ladies and young ladies specifically experience the extremely excruciating custom of getting their lips penetrated with plates. In some cases these plates are as large as 20 cm in width!!! Shocked? 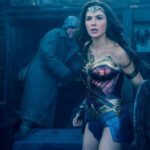 Read on to know more! 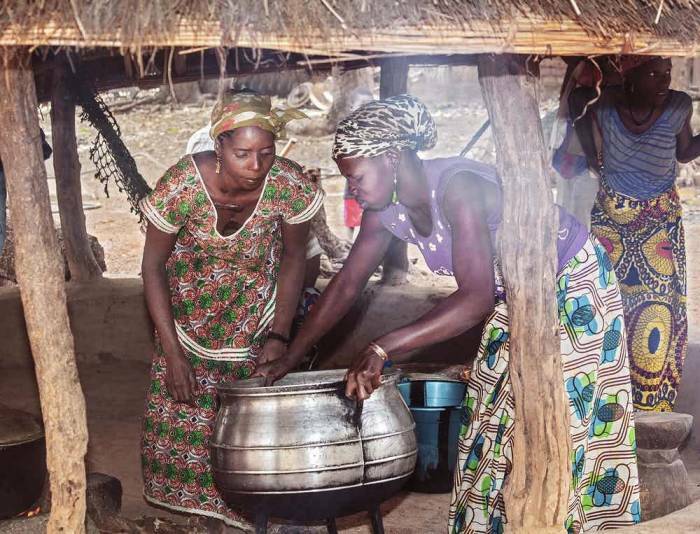 While other communities would revere the dead, this tribe in Africa chooses to drink their water instead! When a Chewa person dies, the tribe takes his or her body to a sacred place, cuts the throat, and starts pouring fresh water into the corpse. The other Chewa people press the stomach so that all the blood would come out of the rear end. Then the village gathers and cooks with the water which is taken from the deceased. 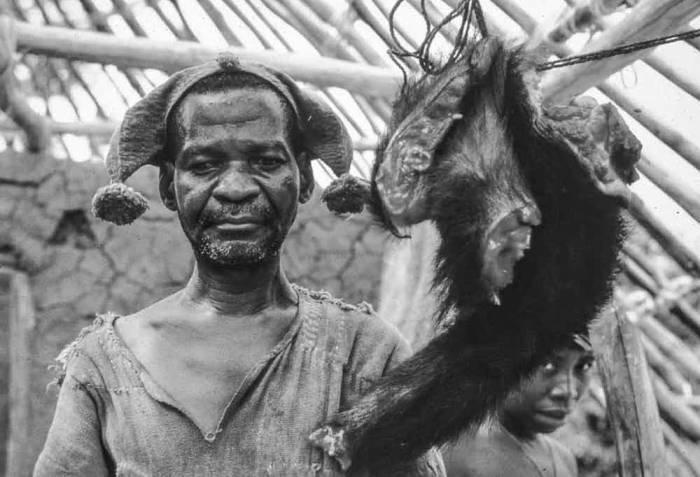 Even though bush meat is said to be the carrier of Ebola and HIV virus, African tribes will just not stop eating it! Starting from lemurs to giant apes, these guys swear by their bush meat delicacies. in fact, in 2014, Congo consumed around 5 million tonnes of bush meat alone! The ancient civilizations used their cattle as currency, and over time as the civilization developed coins and other means were developed. But this tribe in Africa, doesn’t seem to have undergone so much of a change! 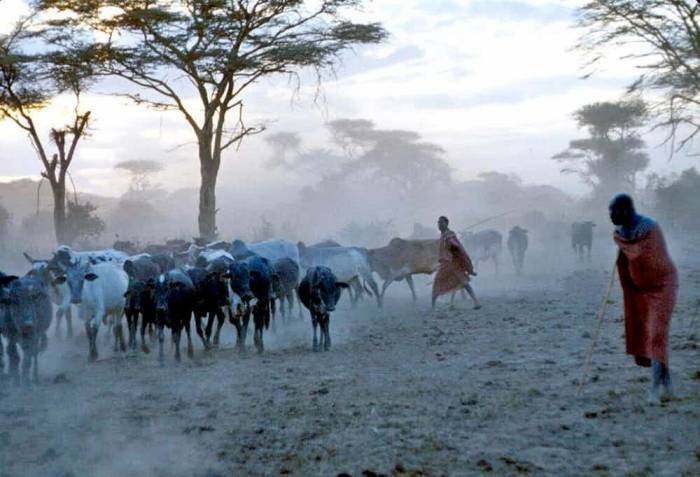 The Pokot tribe in Kenya uses cows as currency and you can buy anything there against cow currency. If you are a Sudanese man and have fallen in love, go kidnap the woman now! That’s right, this community in Sudan believes in kidnapping the bride. So leave behind the traditional ‘asking her parents for her hand in marriage’ or wooing the woman – a simple kidnapping would do the trick! So much for love! 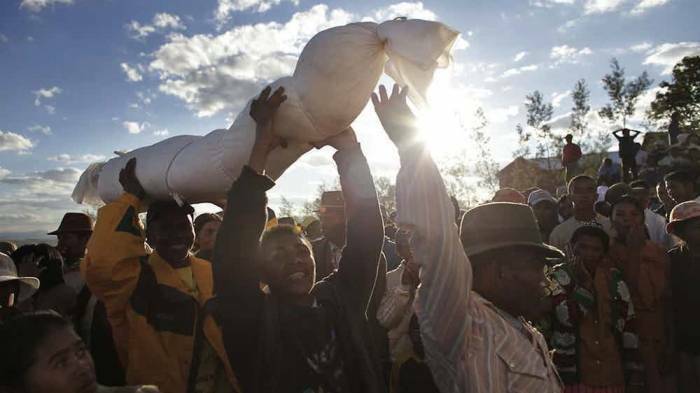 Africa sure has issues with treating death ‘naturally’! In Madagascar, after every 5 or 7 years, all the family gathers, exhumes the dead bodies, and starts dancing with them. This unbelievable ceremony is called Famadihana. Locals believe that it is a sign of respect to the dead! Shocking!